Newcomer Family Obituaries - Donald J. 'Don' Linz 1929 - 2019 - Newcomer Cremations, Funerals & Receptions. 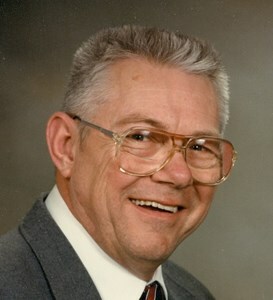 Linz, Donald J. age 89, of Colerain Township, Ohio passed away on Saturday, March 23, 2019. He was born in Cincinnati, Ohio on July 1, 1929 to Gustave and Minnie Linz (nee Black). Don was a past Grand Knight of LaSalle Council 5621, was involved in the Colerain Township community. He was preceded in death by his parents; son, Chris Linz. Donald is survived by his beloved wife of 67 years, Rose Mae Linz; children, Harry (Marsha) Linz, Paul (Beth) Linz, Rita Buschle, Teresa (Victor) Duwell, Philip (Kathy) Linz, Melena (Joe) Quetel, Edgar (Edie) Linz, David (Angela) Linz, Andrew Linz, Eva Wallace; 25 grandchildren; numerous great-grandchildren; sister, Bette Mae (Carson) Craig; nieces, nephews, and a host of other family members and friends. In loving memory of Donald, contributions may be made to Parkinson's Wellness, 260 Stetson Street, Suite 2300 Cincinnati, Ohio 45219-0525. Visitation will be from 5:00 pm - 7:00 pm on Thursday, March 28, 2019 at Newcomer Northwest Chapel, 7830 Hamilton Avenue, Cincinnati, Ohio 45231. Mass of Christian Burial will be at the convenience of the family. Burial at Gate of Heaven Cemetery. To share a memory of Donald or leave a special message for his family, please click the Share Memories button above. Add your memories to the guest book of Donald Linz. Eva, my condolences on the loss of your father. It seems he was an amazing man. My thoughts are with you and you move forward, cherishing his memory. Don always liked a good joke or practical joke. He was a very generous man with his resources time and talent. You could tell he took his faith seriously by his words and actions. He also felt like a father figure to me because when I first met him at Dana Graphics, (where we worked together in the same department), I had just lost my own dad who was only a couple years older than Don. He was the person that introduced me to the Knights of Columbus which increased my own faith. He enriched my life and I thank him for that. May God be close to his family at this time. My Dad, a wonderful father & devoted husband, faithful Catholic, true friend, jack of all trades, master printer-lithographer, Navy electrician, Korean War Veteran, loyal American, pillar of the community, Small business owner, 3 time Grand Knight of LaSalle Council K of C, Expert fund raiser who orchestrated "Taste of Colerian" headed numerous "Tootsie roll campaigns" and "Fish Fries". A published author and photographer who co-wrote "A History of Colerian". A lover of nature who drove to the four corners of North America. A great mind for history and a walking encyclopedia of all things Cincinnati and Ohio. Truly one of a kind who lived life to the fullest. I’m so sorry for your loss. Grandpa is finally at peace with God in heaven. It isn’t easy to let go, but we should all count our blessings we had his unconditional love and support for as long as we did. His passing has made me remember what a wonderful, devoted, funny man he was. Grandpa was always making jokes and laughing and smiling. I will always remember and continue to tell Grandpa’s John Wayne Toilette Paper joke. I was just telling that joke to my friend and her daughter about 2 weeks ago. I will never forget the love I felt whenever Grandpa would look at me and my kids. Eva I am so sorry for the loss of your father. You and your family are in my thoughts and prayers. I am sorry for the loss of your Dad. Of course, you knew him longer and better than me. But the man I knew was always kind and telling corny jokes. He was active in the community whether it was with the Civic Association or the Knights of Columbus. He was a fountain of knowledge in Colerain history. You know all of this. I loved him for his kindness and his acceptance of others. Whenever Harry would call him and say he needed help, your dad was always there. He was so giving. The world will be a poorer place without him. Don't remember him the way he has been these last months. Remember him as the vital man he was. I'm sure you all have memories of things he did for you and conversations with him where he joked with you. He has passed on his great sense of humor to you all. Treasure the happy memories and the laughs you shared with him. He can move his arm now and talk without having to use his hands to communicate or point at a board. It's not easy to tell jokes that way. Be thankful that you had such a wonderful Dad. My love and prayers to you all.